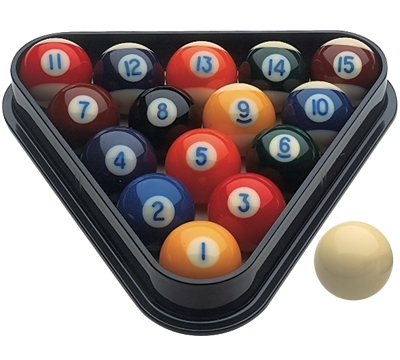 If you have a miniature pool table at home, these are the ideal balls to use. Play with them just as you would on a regulation-size pool table. Designed for most miniature, stand-up pool tables. 1.5" balls, cue ball included. Miniature 1.5" plastic ball rack sold separately.